Polair has launched its first CD! 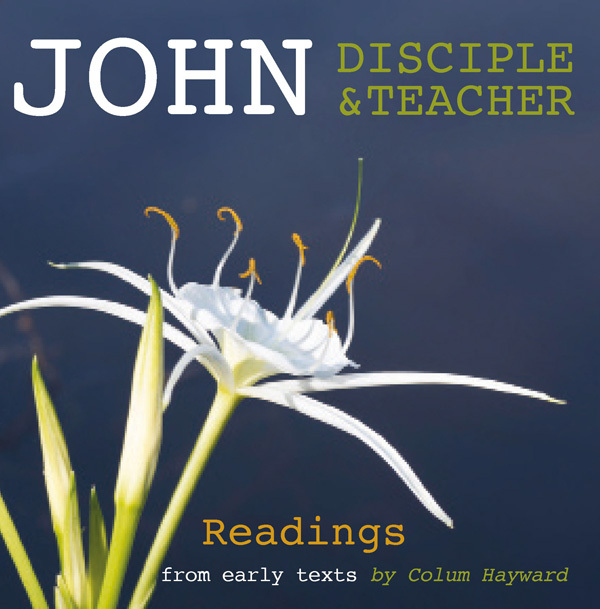 On JOHN : DISCIPLE AND TEACHER Colum Hayward reads chapters from St John's Gospel, from Revelation, and from two ancient apocryphal books that feature John, the ACTS OF JOHN and the APOCRYPHON OF JOHN. His aim is to bring to life a teacher for the new age, one whose ideas of brotherhood were more developed than we have chosen to understand. We have also just published an updated edition of Janiata Stenhouse's POLAIR YOGA DICTIONARY, which has been one of our steadiest selling titles ever. It has become the standard yoga dictionary, across the world. In 2019 we shall publish two books, one of them by an author new to Polair, Hanne Jahr. Her book, which she has illustrated herself, is entitled THE SOUL LIFE OF ANIMALS. Alongside it we shall offer a third book from Polair author Kathleen Pepper, this one called DEVAS AND NATURE SPIRITS. Between them we hope the two books will increase our focus on the natural and angelic worlds. Hanne came to England from Norway as a journalist and has contributed to the journal of the Henry Thomas Hamblin centre in Sussex as well as to the White Eagle Lodge journal, Stella Polaris. Kathleen's 'big' book for us at Polair was HAND IN HAND WITH ANGELS, published in 2013. Frank Perry's THE LANGUAGE OF SINGING BOWLS, written somewhat as an introduction to the subject, has proved popular during the year and we are currently engaged in reprinting his first book, HIMALAYAN SOUND REVELATIONS. Finally, following the new GDPR rules we have thinned our mailing list right down - so if you want to remain on the list and did not reply to the circular sent out in May, drop us a line now. We have dispensed with the forwarding address that used to feature on this site, so please send any such requests - and orders! - direct to 2 St Ann's Road, London SW13 9LJ.